Has anyone else been hooked on the London and New York Fashion Weeks? With social media giving you a front row seat to the best in show, there’s been no way to escape spring/summer 2019 beauty – and we wouldn’t have it in any other way. Let’s talk about skin! Gone are the days of ‘tin foil’ highlighter, Pat McGrath has shown us it’s all about dewy, almost ethereal skin for spring summer 2019 and I’m excited. 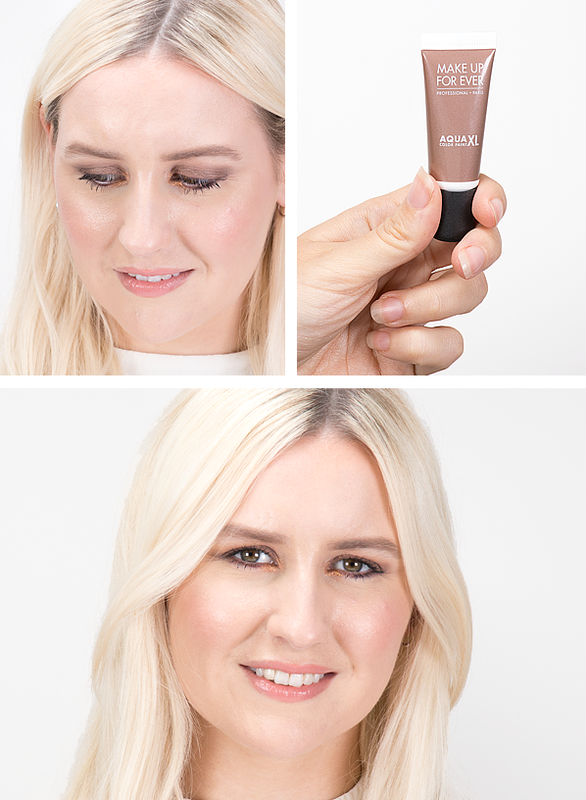 A modern take a fresh, cushiony skin, think of a wet look rather than high voltage wattage and you’ll easily nail this new way to glow. 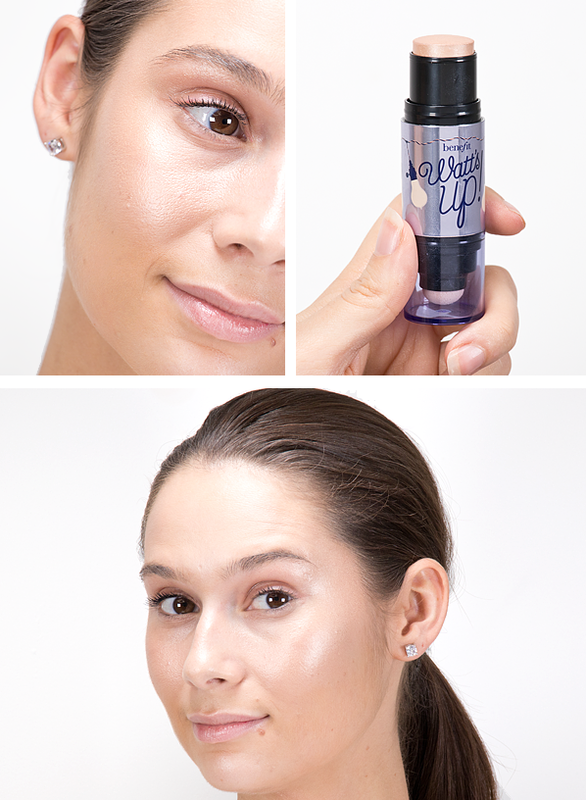 Benefit’s Watt’s Up Highlighter is the ultimate dupe for this look and it’s pretty essential for creating this lit-from-within look. Fitted with a soft-focus moonstone undertone, when applied to the high points of your face you’ll instantly look like you just walked the Victoria Beckham runway. Well, kind of. Some will say, ‘’really, how is this a new trend?’’ However, when we look at the likes of the Tom Ford, Victoria Beckham and Julian McDonald, you can’t help but notice that there’s still a big love affair with glistening textures that instantly reflect the light and beautifully blended edges. I didn’t see any mattes! Unlike other seasons, graphic, harsh lines were also a no-go! It’s actually easier than you think! I used MAKE UP FOR EVER’s Aqua XL Color Pain Eyeshadow in L-54 – Lustrous Taupe all over the lid, blending with the heat from my fingers to really even out the colour. I even use the straight edge of the packaging aligned against my lower lash line to help me create the winged-out style from the Tom Ford show. I then finished the look by popping a tiny bit of I-42 – Iridescent Copper Gold to the inner corners to really make my eye colour pop. Any gold, copper or silver shades you have will also work perfectly for this look. Colour is definitely having a comeback and I’m not mad at that either. For those ready to welcome in a dose of brightness, I recommend that you take cues from Rodarte, a colour clash haven of contrasting eyes and lips that just work. Can we wear this look now? MAKE UP FOR EVER’s Artist Colour Pencil is the most versatile tool in the business. 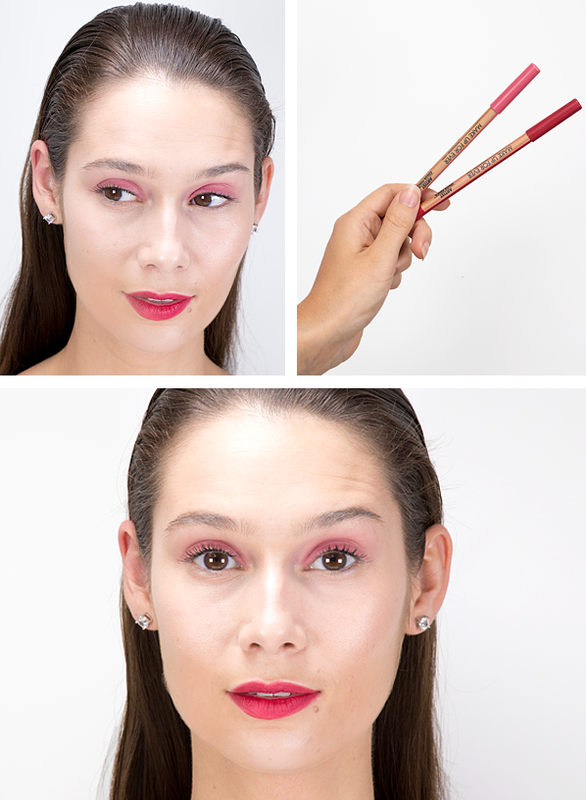 To get this look, Ceryn used the shade 806 Go Ahead Pink all over her eyes, blending the colour with her fingers. Then for her lips, Ceryn used 800 Lava And So On as a lipstick, and the result? A bang on trend look that exudes the effortless and pretty finish from the Rodarte SS19 show. 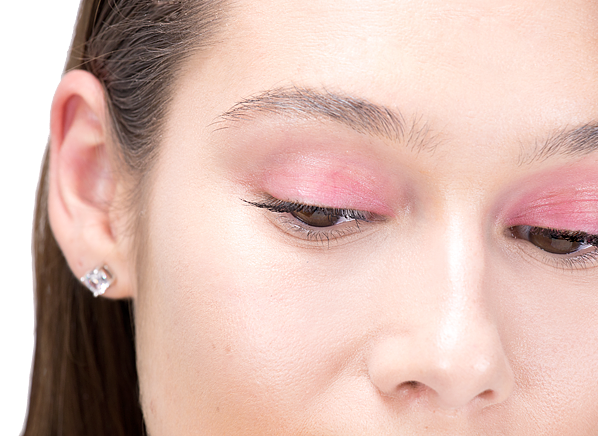 If you’re not ready to fully embrace pink eyeshadow, line your eyes with 806 Go Ahead, then use a black kohl or liquid to create a double liner look that still looks as impressive. This entry was posted on Friday, September 21st, 2018 at 10:22 am and is filed under Get the Look, Make-up, Spotlight On, Trends, Tried & Tested. You can follow any responses to this entry through the RSS 2.0 feed. You can skip to the end and leave a response. Pinging is currently not allowed.